Geeze, yet another month has gone by, and I have not kept up with posting. Could be though that I have been really, really busy — having a really, really terrible month! Started off with some major car troubles (boy do I need a new car), got that taken car of seeing that Josh (DS) was getting ready to start back to school, which means driving my car 100 miles a day a few times a week. 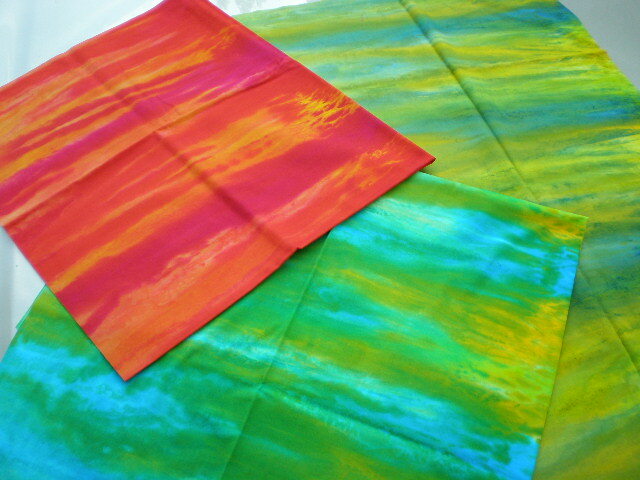 I have continued dyeing, and dyeing, and dyeing more fabric. Wow, I have probably done like 60 or more yards, and once it is all cut up in to FQ’s, half yards, and yards, and it is all folded, it sure doesn’t look like much!? I did keep quite a bit as large pieces, for wholecloths, etc. About a month ago our puppy Junior (well, he was 8 months old, but was still growing) had a siezure. So we went right to the vets, and he was put on a regiment of seizure medicine. The vet said it could possibly be an inury to his brain (that would eventually heal), as canine epilepsy would have shown itself at an earlier age. So we started the routine with the pills, twice a day for a couple weeks, then once a day, and it went on and on to see how much he would need to take. So for three weeks everything was great, not one seizure. But, then we got to the point where he started taking one pill every other day, and the very first day with no pill, he had a terrible seizure. So, left a message with the vets office (of course these things always happen on weekends, and this was Labor Day weekend, to make matters worse). We were told to just give him some more pills, and get the meds back into his system. He was having a few seizures each day, and not every fully recovering after the previous one. 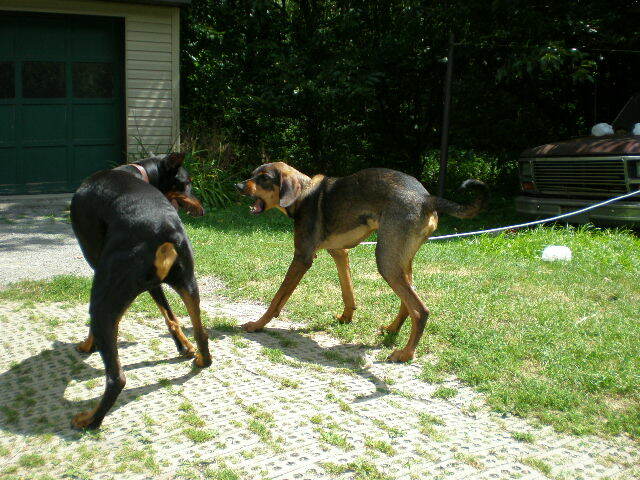 It was so sad, he was running around, and even trying to play, but was soooo disoriented, he would run into stuff. On Sun. he actually did really well, and only had one seizure in the morning, and was fine for the rest of the day, so we were hopeful that finally he had enough of the meds in his system to fix him up. But, that evening the poor guy had another one, that just went on and on for about 5 hours, and in the end was just more than his body could take. I was told that dogs don’t know what is happening when they have a seizure, so I am hoping it is true, and he didn’t really know what was happening. So needless to say, I have felt like doing absolutely nothing for the past week. I just can’t believe that this happened to him at less than a year old. DH says that God knows how much we love our animals, and that is why he sent Junior to us for the short time that he had. 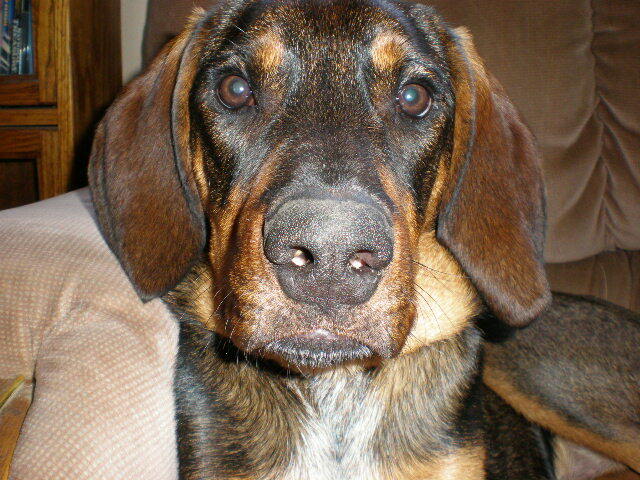 Boy, I sure do miss him (and the total caos he brought to our house LOL). 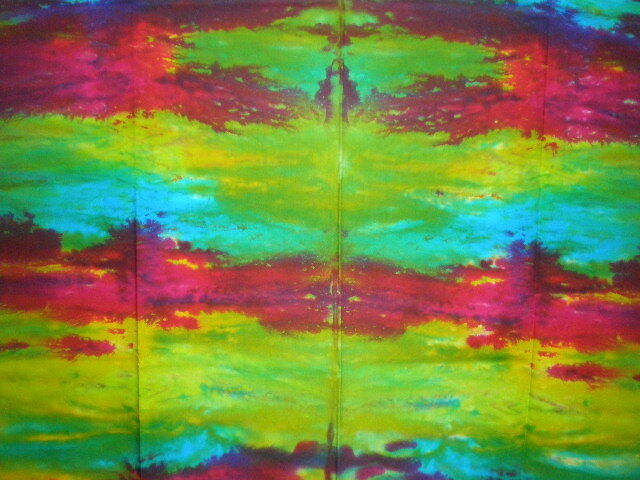 I wanted to share a few pics also of some of the latest fabrics I dyed. I recently got the book “Free Expression” by Robbi Joy Eklow, and in it she gives instructions for how she dyes her fabrics. 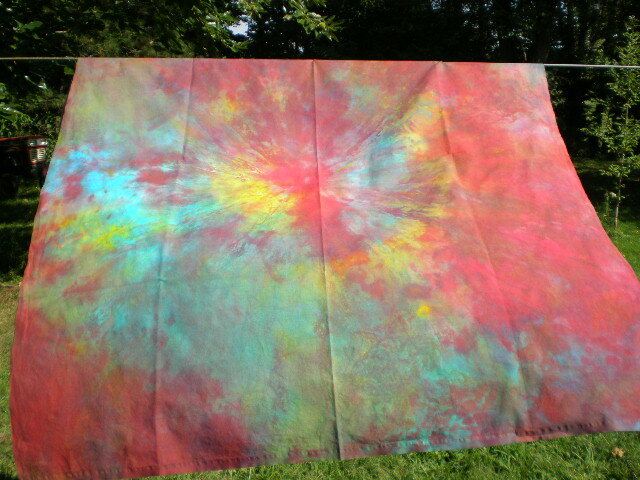 She hangs it over a pole, and then using squirt bottles puts the dye on at the pole and lets it run down the fabric. So I gave it a try, and I love how the fabrics came out. 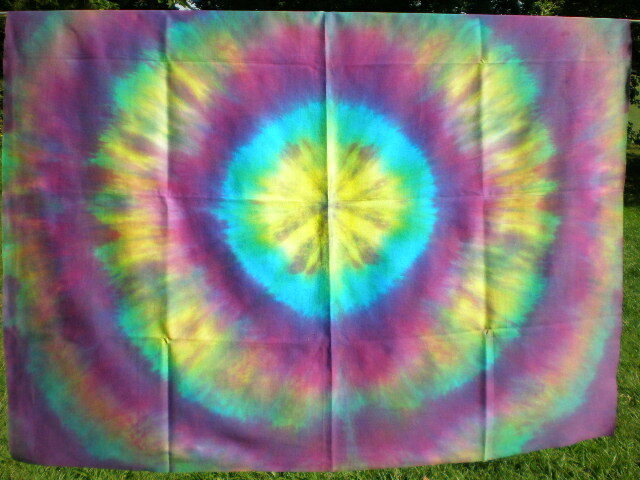 I think this is my new favorite way to dye fabric. 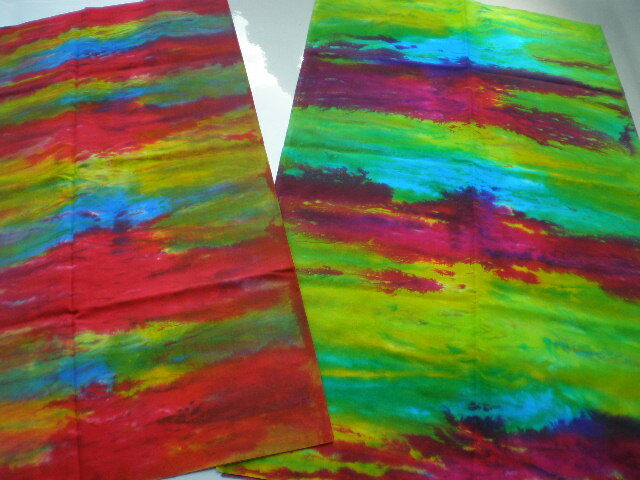 It is a little (well alot) messy to do, because the dye drips and splatters quite a bit, but the results are well worth it. What do you think? 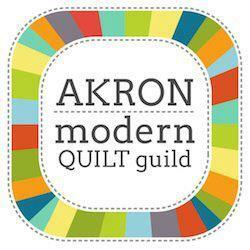 OK, better get to work— I’m working on a never ending Double Wedding Ring quilt. ← Busy, Busy —- But fun! 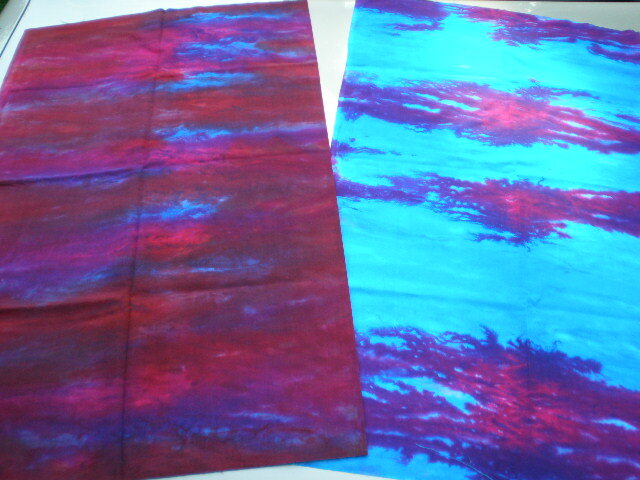 Your fabrics are just stunning! I’m sorry to hear about Junior. The poor puppy. You sure had a lot on your plate lately. I’m sorry about Junior. It’s never easy. I love your dyed fabrics. I can’t wait to see what you do with them. I LOVE the fabric. 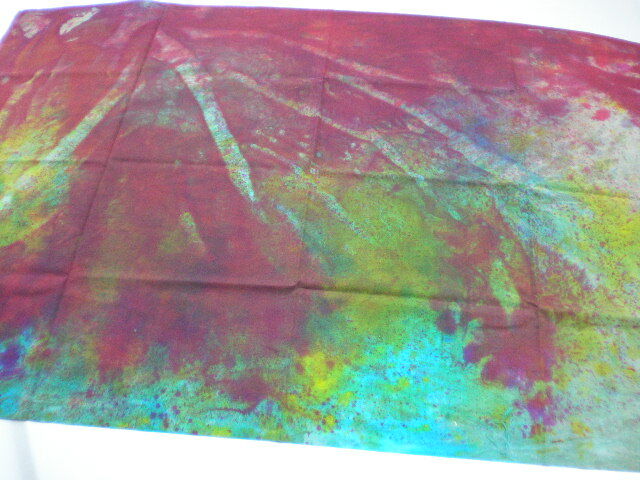 I have to share that when I dye fabric, mine always seem to look like your drop cloth. By looking at your beauties, I guess I should keep trying. Thanks for sharing!!! I’m so sorry to hear about Junior– how sad. We lost a lab to seizures a few years back and they never could tell us why. I’m so sorry for your loss. I love the dying you have been doing– makes me want to do some! I also can’t wait to hear about your new book– any hints? You know I’ll want it! Sending hugs. Junior was lucky to have you too. Jodi, Junior died? How sad. You were so excited to get that big bruiser. I am really sorry. On another note, I do look forward to seeing your hand dyed fabrics. 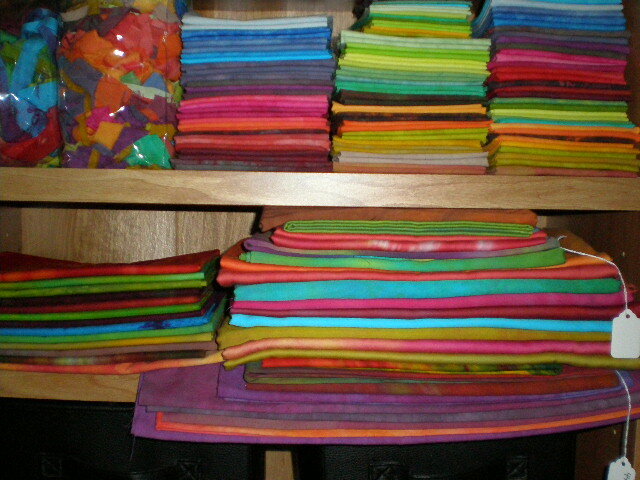 Next spring/summer do you want to do a hand dying fabric workshop in my quilt room? I have always wanted to learn to dye…..